It’s no surprise that pets help to boost happiness. Not only can they be cute, cuddly, and affectionate, but they love us unconditionally! As of late, I am delighted to hear from friends and colleagues who have recently opened their mind up to the gift of having a pet. It’s a gift for both the animal and the pet owner. Truly a win-win for all when a pet is welcomed into a loving, caring, and healthy home. A new trend is emerging where pets are even allowed in some workplaces. I work mostly from home and just this morning, while writing, I was so grateful to have my cat Bella cuddled up in my lap while I tapped away at the keyboard. In between petting her of course. 🙂 So I think the workplace idea, when it is able to be both conducive to the work environment and adaptable, is a great idea! Animals can help reduce stress, lower blood pressure, and increase social interaction and physical activity. They are also really good companions for the elderly. They provide a loving and interactive presence for those who can no longer get out and interact with others due to age and mobility. They also don’t worry about tomorrow, which can be a very scary concept for an older person. Pets can also have an astounding effect on symptoms of depression and feelings of loneliness. When one has someone else to care for and to love, a person’s entire world and viewpoint can shift from that of lack and loneliness to one of compassion and purpose. For those that already have a pet or pets, it’s no surprise that 98% of pet owners consider their pet to be a member of the family. Both pets and therapy animals can help alleviate stress, anxiety, depression, lack of purpose, and feelings of loneliness and social isolation. Interactions with animals can help people manage long-term mental health conditions, as well as boost happiness and JOY through day to day interactions with these adorable creatures. Maggie Holbik.com is a Certified Life Coach, Board Certified Nutritionist and lover of life and anything living like plants and animals. She believes in love and love between all creatures and living things. Just about everybody has stress these days and chronic stress is an epidemic! Studies have shown that chronic stress is associated with a variety of health conditions, including heart disease, diabetes, anxiety, and even brain aging concerns. Stress is also closely associated with hormone imbalance and weight gain. Whether stress comes from outside sources or internal banter, all stressors place stress on the body and mind and is something that should be a top priority when it comes to wellness management. Spend time in nature. Nature is a great way to de-stress naturally. Let the earth soak up some of your stressful vibes and clear the way for more peace of mind and stillness. Breathe. Just breathe. Take time to slow down your breathing and connect with your breath. Just the act of doing this, helps to interrupt stress patterns. Take time to be still throughout the day. Just stop for a moment. Even if this means you have a potty break at your workplace and take a minute or two, to consciously sit there and connect with your breathe. Many of us are creatures of go-go-go and we forget to just ‘stop’ now and then. Make your desires a priority. One of the ways we experience stress is by not living in a way that matches our life’s purpose or passions. Make sure you both acknowledge and honor the desires of your soul. The more you do this, the more you will find peace and the more your life will flow with balance and grace. There are many more ways to work on balancing the stress in your life, but these are just a few that I hope you find helpful. Maggie Holbik.com is a Board Certified Nutritionist and Certified Life Coach who works with clients all over the world to help them unleash their desires and live with intention and passion. Keep calm and sing a song…………..
As a parent, how often have you heard the words “I have a sore tummy” or “My tummy’s sore”? I’m sure most parents have heard these words but some more than others. I have taught my own daughter, who gets a sore stomach, to tap into and listen to the clues that her body offers. Sivanna is 12 and she has been listening to her tummy talk for several years now. She is learning what foods make her feel a certain way and she also knows that when she is experiencing anxiety it shows up in her gut. There are many forms of anxiety that children feel. Some of which, but are not limited to, separation anxiety, fear, dread, uncertainty, worry, feelings of inadequacy, and the list goes on. The stomach is often called the second brain, is referred to as ‘gut instinct’, and is home to the enteric nervous system, and is also linked to the solar plexus chakra. The solar plexus or third chakra is a control center for will, personal power, personal responsibility, mental capabilities, the intellect, forming personal beliefs, decision making, self-confidence, independence, personal identity and personality, so it seems very fitting that as children grow and evolve, the tummy is a barometer for anxiety and angst. How can we help our young children with anxiety? First and foremost we can help by discussing and creating conversations around what they are feeling in their body and what it means to them. Sivanna and I mutually came to the conclusion that some of her tummy strains, were anxiety and we openly discussed it. Now, when she feels this particular type of angst, we peel back the onion layer, so to speak, to see what is underlying there. Listening to your child. This is something I have to work on myself. I know I never truly listen enough. Let’s face it, we all want to be heard and listened to. While the conversation may not seem important to us, it is extremely important to them. Try listening with an open heart and a non-judgmental mind to make room for clearer communication and your child’s willingness to share. Let you child know that they are ‘safe’. Let them know that they can openly discuss anything with you at anytime. Let them know that there is NO-thing that they cannot share with you. They need to feel safe and that they will be worthy of your love and support NO MATTER WHAT!!!! This is indeed what unconditional love means. We all need to feel safe, heard, and supported. Ask your child for their input on what they are feeling, what they think might be underlying in this particular way of feeling, and really probe them for input. Children love to be heard, love to share, and love to feel that they are worthy of providing input. It is also a good idea to ask them for possible solutions to help relieve the angst or anxiety. Ask them what ideas do they have to alleviate this feeling they are having? Sleep! Make sure your child gets enough sleep! We all know what it feels like to be tired and worn out. It’s hard to cope with life. Make sure you support your children in a routine that provides adequate sleep, rest and downtime. Proper nutrition and nutritional deficiencies play a BIG role in children’s anxiety. Children don’t always eat optimally for many different reasons and they may suffer from common digestive and assimilation issues, just like adults, so making sure your child gets the proper micro-nutrients such as vitamins, minerals, enzymes etc. is hugely important to help with both anxiety and overall health. I really believe the more we openly discuss the issue of anxiety and teach our children to tap into what their body and mind is saying to them, the more we can help them and help others who are suffering too. Let’s start the conversation…..
Depression is a hot topic in the world today and so is inflammation. If you suffer from either of these or both, you are not alone. 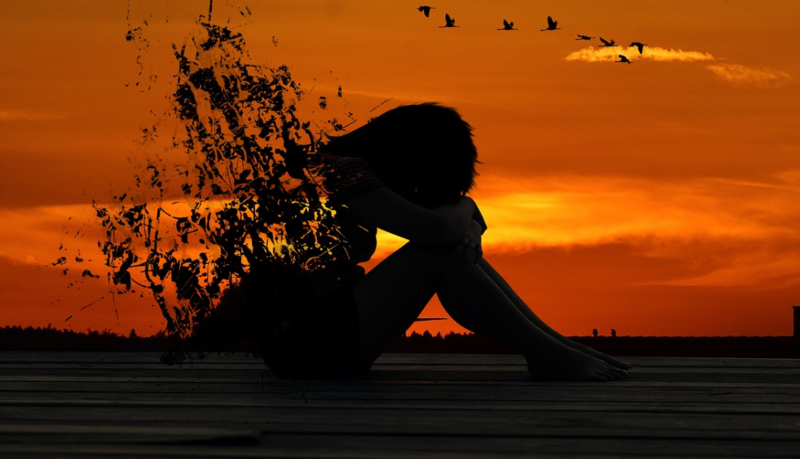 Although there are many contributing underlying factors that contribute to depression, science now confirms that inflammation can be correlated to depression. A study published in The Journal of Clinical Psychiatry supports the premise that increased inflammation may play a role in depression. The large study examined data from 14,275 people who were interviewed between 2007 and 2012 using the Patient Health Questionnaire (PHQ-9) to screen for depression and had blood samples drawn. 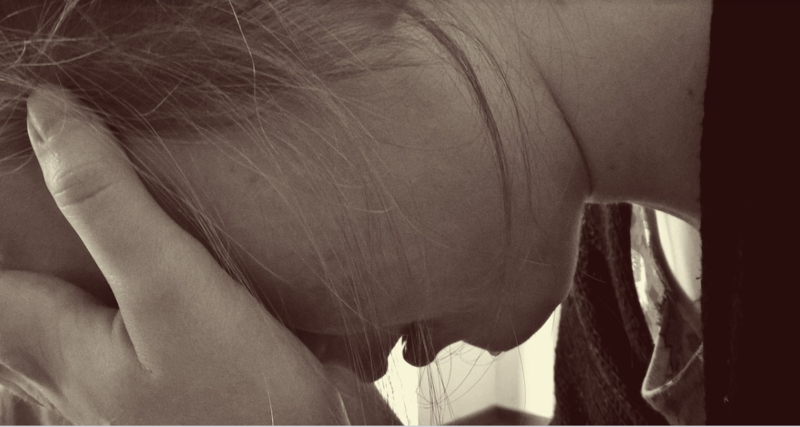 They found that people who had depression had 46% higher levels of C-reactive protein (CRP), a marker of inflammatory disease, in their blood samples. The study was only able to establish an association between depression and inflammation but not causation, though it confirms the association of depression with high levels of inflammation as measured through CRP. Finding ways to reduce inflammation in the body is helpful in a myriad of ways and in this case beneficial specifically for depression. Here are some simple ways to become pro-active in reducing inflammation in general. There are numerous things one can do to combat inflammatory responses in the body including supplementation which I will discuss in specifics in a future blog post. Finding out the underlying cause or pathogen that is contributing to the inflammation is most beneficial also, but in the theme of keeping things simple for this blog post, a recap is to work on your diet, incorporate exercise into your daily life, and take up a new practice of yoga, meditation or even walking in nature. All of these things will help with inflammation that may contribute to depression and a host of other conditions such as heart disease, diabetes, and more. MaggieHolbik.com is a Certified Life Coach and a Board Certified Holistic Nutritionist who resides in Northwestern Ontario, Canada. Maggie offers complimentary 15 minute discovery chats via phone, Skype, or Zoom to see if Life or Holistic Nutrition coaching might be a fit for you. Contact Maggie to schedule your 15 minute discovery chat or to inquire about her services. Maggie helps people with wellness of body, mind and spirit. Do you Suffer from E.S.? Today one of the biggest types of stress, is emotional stress. Emotional stress plays on our body, mind and soul. Have you ever felt emotionally drained? Or have your spirits been dampened to the point that you give up on something that you loved or enjoyed doing? It’s easy to ignore emotional stress and we usually wait until it’s too late . We lead busy, hectic lives and we often put the needs of others first before our own self-care. We are the first to hop to the aid of whoever needs our help, children, spouse, neighbor, friend, school fundraiser, pet, etc. etc. etc. The list goes on and on. When we go on and on and on giving and creating an energetic output without allowing for an energetic input or re-charge, to put it simply our batteries get drained and sometimes to the point that ‘we stop working’. We don’t want to let that happen. The best thing we can do for others IS to take care of ourselves. Think about what happens when we don’t. Often we will feel grudeful, resentful, and even bitter toward those that we love most. Yet the answer is so simple. When we are happy, those around us tend to be happier so we are doing a DISSERVICE to ourselves and everyone when we do not take time for self-care and self-love. If we look at self-care as mandatory instead of optional, it frees us to do more for ourselves and to enjoy it! When we enjoy we are in-Joy! I firmly believe we are here on earth to experience Joy. We are very good at experiencing many other emotions such as lack, fear, disappointment, grief, and more, but when it comes to Joy people often feel they are not deserving of it. This is so far from the truth. The truth is that we are meant to be joyous and loving beings and it starts with loving and delighting in the things that brings us joy. What are some ways you could work on relieving some of your emotional stress by taking time for yourself? I would love to hear from you ways that you take time for self-care and self-love. For me as an example, I finally got to that sought after place, where I felt I loved my body and had gratitude for it, but now I SHOW my body that I love it and that has made a huge difference in my self-care. I now enjoy yoga, meditation, walks, trying new recipes and more. All of these acts are acts of self-love and self-care and bring me Joy. What about you? What is good for you? Maggie Holbik.com is a Certified Life Coach and Holistic Nutritionist who resides in Northern Ontario, Canada and enjoys time in the city as well as spending time at her seasonal cottage where she refreshes her soul and practices joyous self-care.